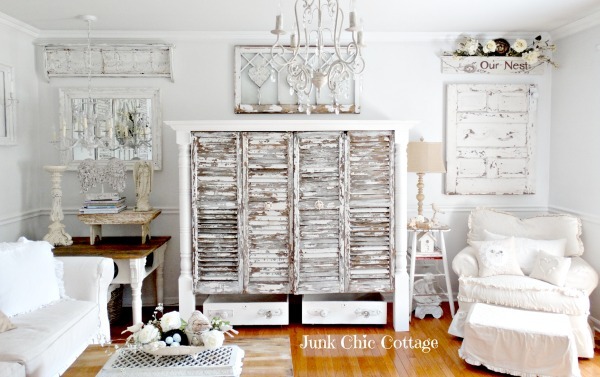 I love the look of heavily distressed chippy furniture and here are some of my favourites! I have a confession. It’s not earth shattering by any means but here it goes…. I LOVE CHIPPY FURNITURE. 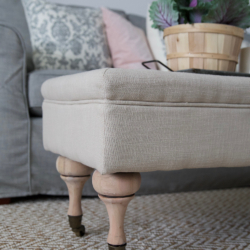 The thing that I love about heavily distressed / chippy furniture pieces is that you can put them in a room that is very simple and not at all shabby chic and they will really stand out. I think that is awesome! 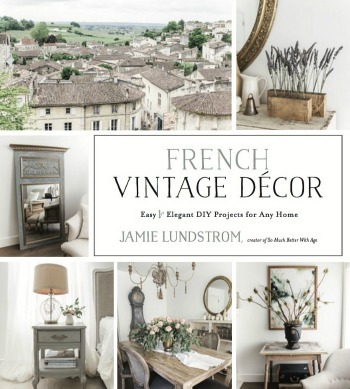 Ready for some heavily distressed furniture pieces?? I’ve been wanting to heavily distress this cabinet for years after my toddler son keyed it (yes, he took my set of car keys and went crazy on it). Not quite the distressed look I was going for. Here is my inspiration piece. I’ve had this pinned from the moment that Kathy published this post. I mean seriously people. You are either going to love it or hate it (just like her post says!) and I LOVE IT! Way to go, Kathy! 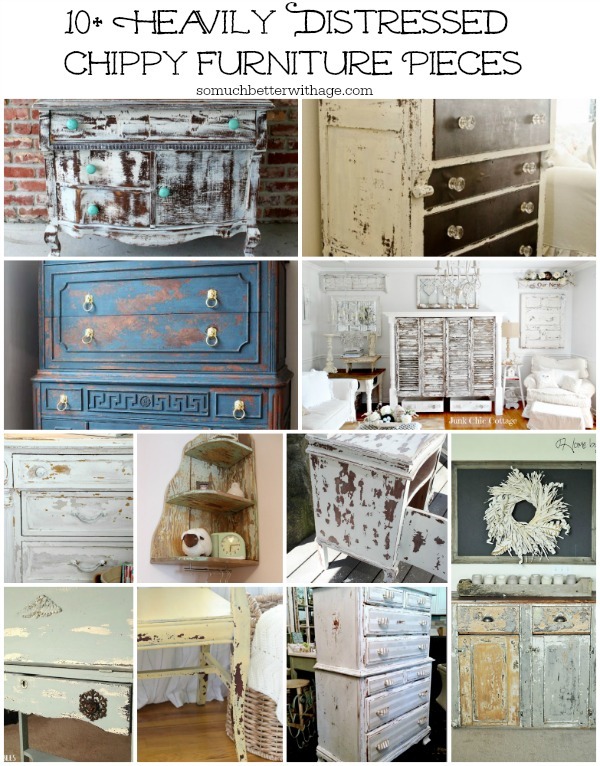 So here are more heavily distressed / chippy furniture I found out in blogland. I know there are a ton more but these are my faves! 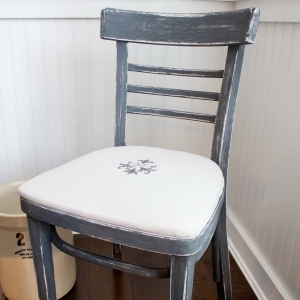 No distressed blog post round-up would be complete without one of Marian’s pieces! She’s introducing one of her paint colors with this gorgeous piece. Um, amazing! 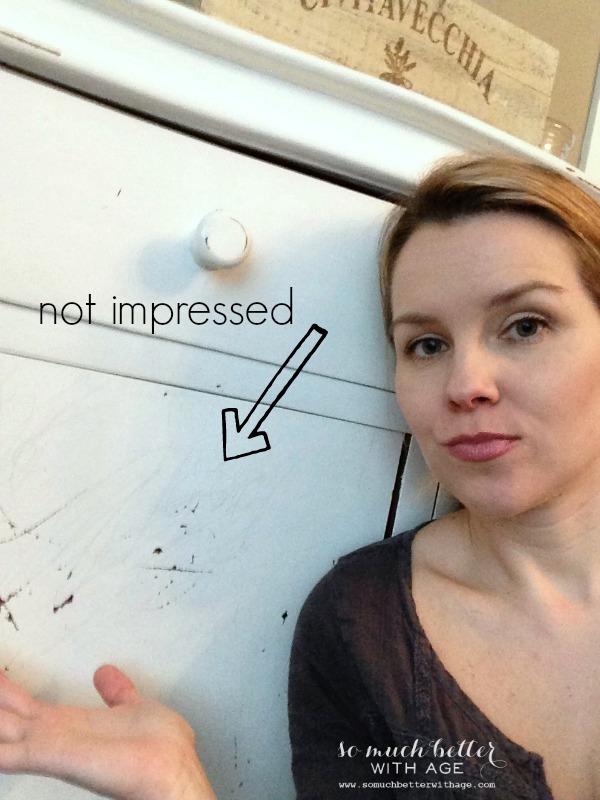 You won’t believe what this armoire looked like before! Hello chippy shutters. I love Kim’s chippy night stand. She never intended it to look like this but I’m so glad her project failed! LOVE it. 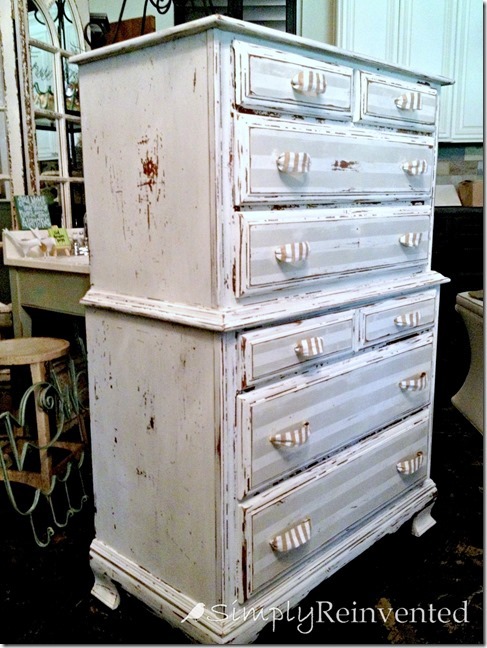 I love Allison’s painted furniture pieces and this one is no exception. 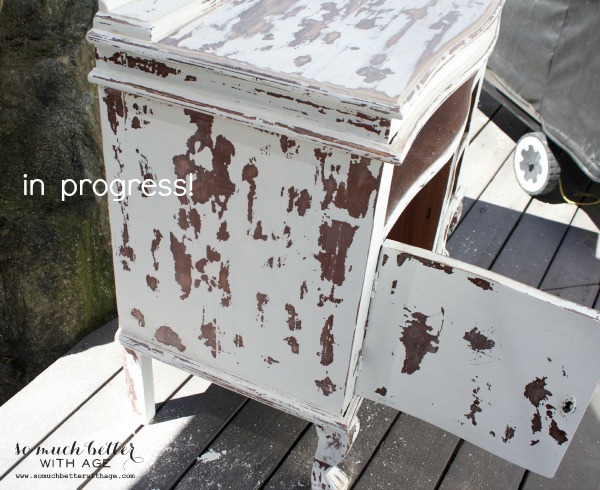 The flaking milk paint (by Miss Mustard Seed) is amazing. 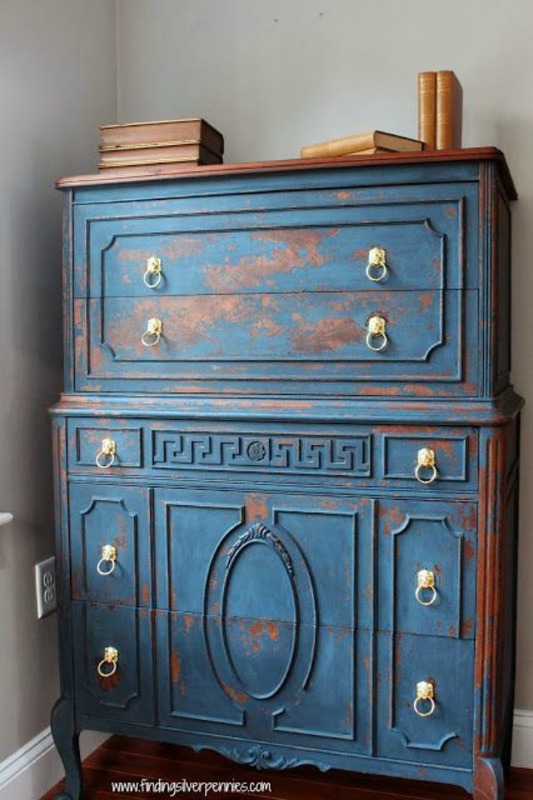 I love this antique secretary. Laura used petroleum jelly as a resist that gave it that awesome chippiness. I love the colors and would die to have this in my home. This is amazing. 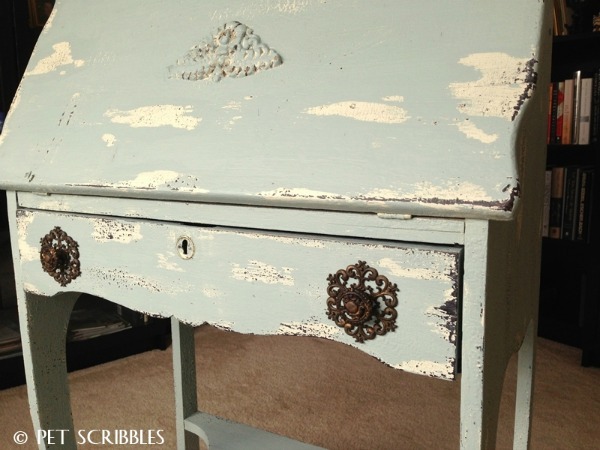 Danielle used Miss Mustard Seed Milk Paint to achieve this fantastic look. And the color is gorg. Way to go, Cindy! 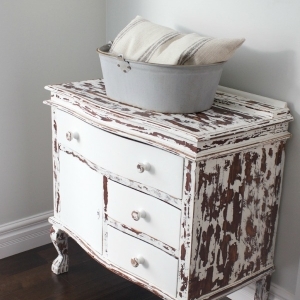 This dresser has stripes, grey, white and burlap. All of my faves wrapped up into one amazing chippy piece! 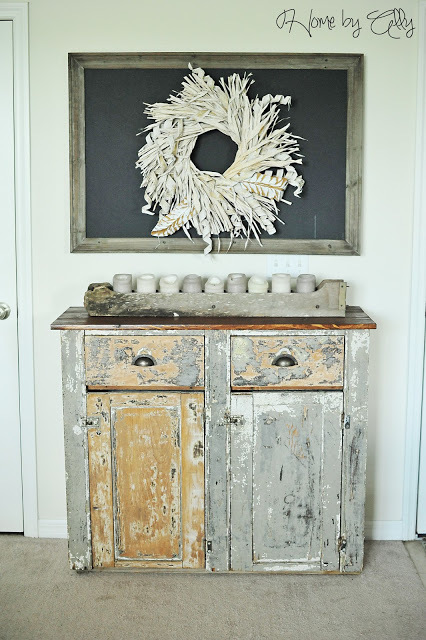 This cabinet is pure perfection in my opinion and it just came this way naturally. What do you say, Ally, can I have it? Shipping can’t be that much to Canada, right? 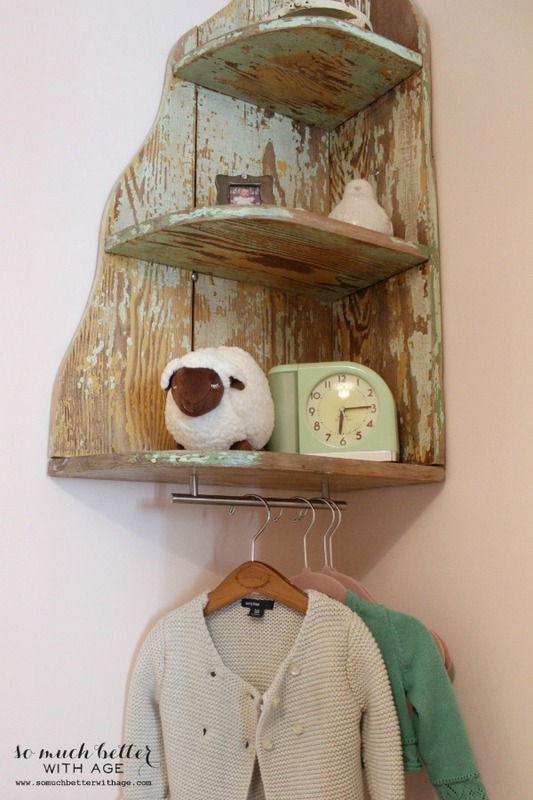 And here is one of my naturally chippy shelves I found in our old house. 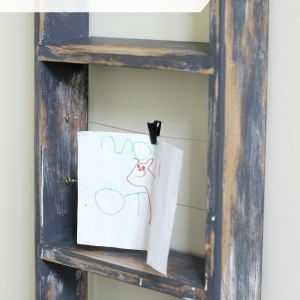 I turned it into a coat rack for my daughter’s room just using a large cabinet handle. And now here is the project that I’m working on. 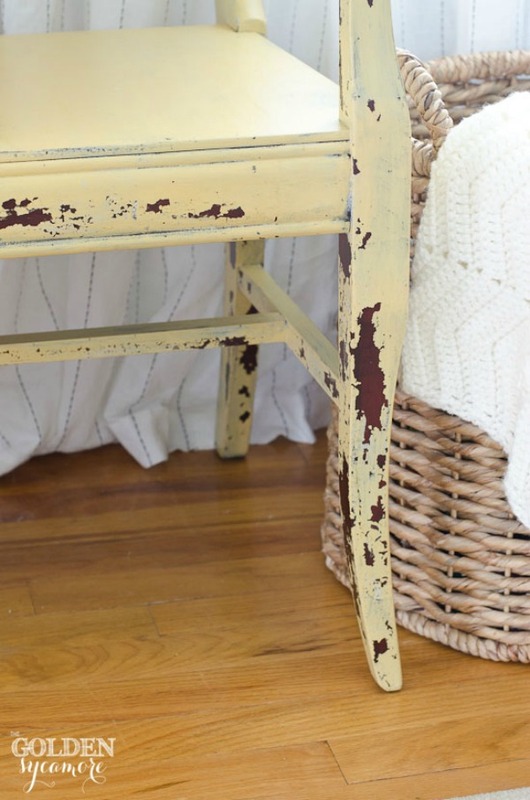 Are you a fan of heavily distressed / chippy furniture like me? 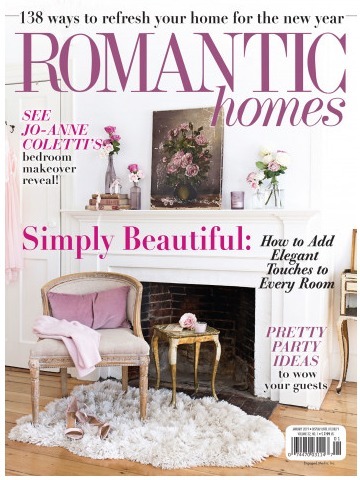 Thank you so much for the feature of my chippy armoire cabinet. That was truly a labor of love. I am a chippy girl too. 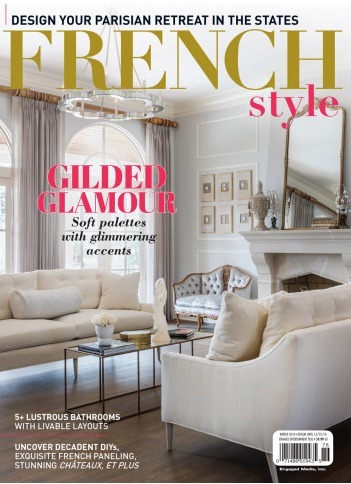 Anything chippy with character is re loved into my home. Loved all the inspiration you showed today. 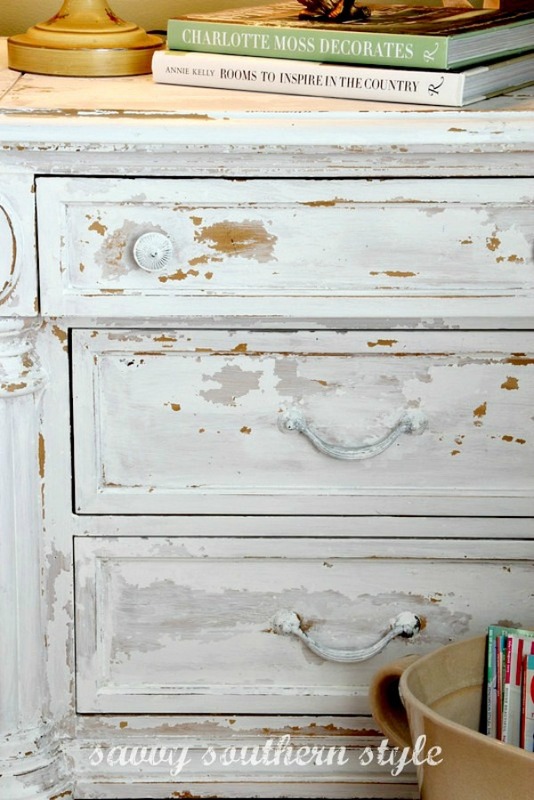 Gotta love a distressed and chippy piece. Its gorgeous, Kris!! 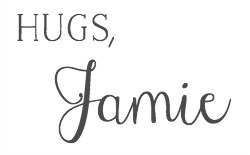 I love all your decorating and project ideas. Chippy is awesome! I can’t believe you thought to cut that thing in half. Amazing! 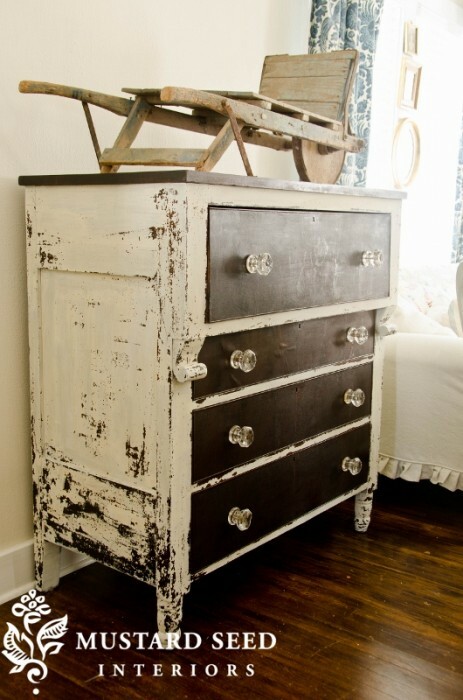 I love love love chippy/distressed pieces. These are absolutely gorgeous looking forward to your reveal. Gorgeous photos! 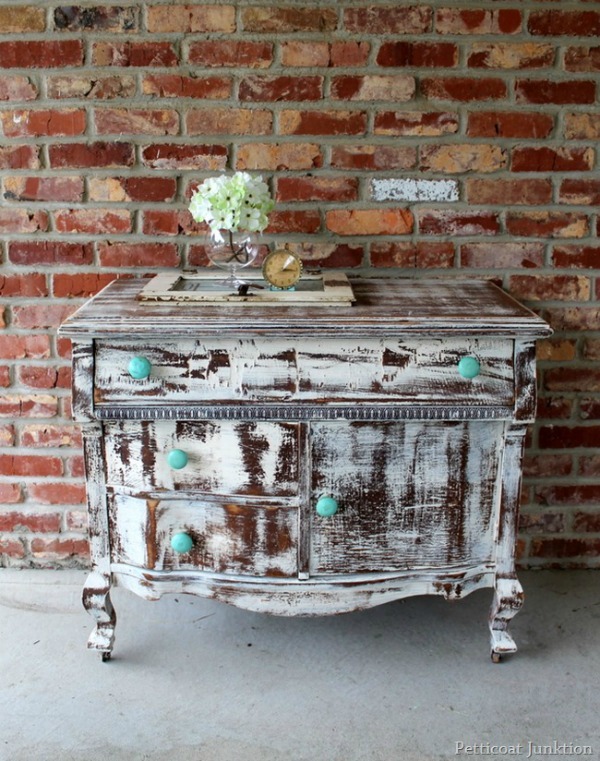 I love distressed furniture. It adds such character to a home. I am an old soul. I love everything to look old. They are all amazing. What a great group of inspiring pieces. You’re so welcome, Laura! You did an amazing job.